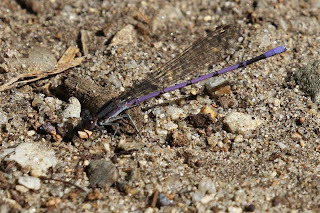 I thought the bright purple body was striking. Also, I was delighted to learn that this particular damselfly is known as a Variable Dancer. I wouldn't class myself as being even as good as Variable in that particular category. It could make for a fine album title, though.